Sue Lawley's castaway is actor Richard Dreyfuss. 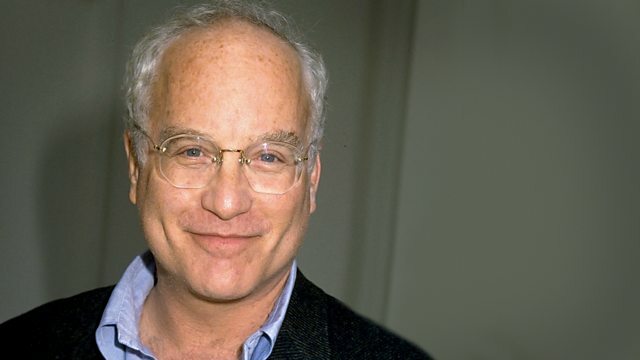 Sue Lawley's guest this week is Richard Dreyfuss. He was already the youngest actor ever to win an Oscar when he starred in the phenomenally successful Jaws and Close Encounters of the Third Kind. Too many drugs and too much drink threatened his career until in 1982 he had a terrible car smash which brought him to his senses. Today, with a dozen more hit films under his belt he's fulfilling a lifelong ambition to appear on the London stage. Violin Concerto / Romances 1 & 2. The Ghost and Mrs Muir Soundtrack Album. The Best of Joe and Eddie. Symphonies Nos. 6 & 8. King Stephen Overture. Brace yourself for our collection of shark related tales.